Magic paste is one of those secret Thai ingredients that gives Thai food is wonderful and unique taste. No one knows who coined the term for this simple concoction, but many Thai chefs start with this paste (think starter dough) and someone finally decided to give it a name. And it is indeed a magical thing! Note that normally this magic paste consists of only three ingredients: cilantro, ground white pepper, and garlic. You can also add fish sauce which gives it even more flavor. In Thailand, they would use coriander root. If you can find it, by all means, use it and enjoy. Chop the cilantro (coriander) leaves and stems. Place all of the ingredients in a mini chopper or a food processor. Blitz well to create a fragrant green paste. Note that you can adjust these ingredients to your liking, add up to 3/4 teaspoon ground white pepper if you prefer even more zing. If Using Pestle and Mortar: In this case, you can use whole white peppercorns if you wish. Start by pounding dry ingredients together, then add the fish sauce and blend with a circular motion. Use your magic paste in place of the usual minced garlic and shallots that start so many Thai recipes. For a recipe using this paste, see Thai Magic Fried Rice. Magic Paste doesn't store all that well, so it's best to make it fresh as you need it. It may be fine kept refrigerated until the next day, but fresh is best, and you'll notice the loss of flavor. You'll need to have a source of fresh coriander leaves. They are commonly stocked in supermarkets year-round or you can grow your own. Thai magic paste is based on cilantro, also known as Chinese parsley or coriander leaves, to which many people claim to have an aversion. It's true that different people perceive the taste of cilantro differently. To some, it tastes like soap. Rarely, people may have a food allergy to cilantro, which should be taken seriously. 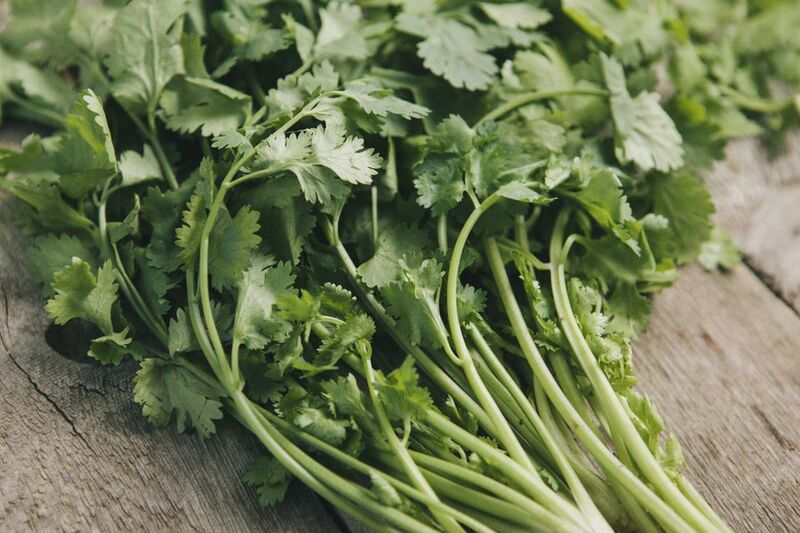 If your guests say they don't like cilantro, ask them further to see if it is an aversion or an allergy.